Free Cheese Fondue @ The Melting Pot!! 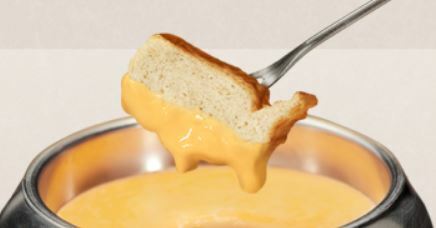 Sign up for Club Fondue by 3/30/15 to receive an offer for FREE cheese fondue from The Melting Pot in honor of National Fondue Day – April 11th! Once you sign up, you will receive your offer for FREE cheese fondue via e-mail between 4/1 – 4/3/15. In addition to the FREE cheese fondue offer, all members will also receive a coupon valid for a FREE box of chocolate covered strawberries with a $60 purchase.